The fast-approaching 2015 deadline for meeting the Education for All (EFA) goals, and the parallel process of setting the post-2015 development agenda, have prompted significant reflection and discussions over the kind of education we need and want for the twenty-first century. While increasing access to education is still a major challenge in many countries, improving the quality and relevance of education is now receiving more attention than ever, with due emphasis on the importance of values, attitudes and skills that promote mutual respect and peaceful coexistence. Beyond cognitive knowledge and skills, the international community is urging an education that will help resolve the existing and emerging global challenges menacing our planet, while wisely tapping into the opportunities it provides. In this context, there is growing interest in global citizenship education (GCE), signaling a shift in the role and purpose of education to that of forging more just, peaceful, tolerant and inclusive societies. The United Nations Secretary-General’s Global Education First Initiative (GEFI), launched in 2012, has been instrumental in raising awareness of the importance of global citizenship to building a better future for all. UNESCO, in response to the increasing demand from its Member States for support in empowering learners to become responsible global citizens, has made GCE one of its key education objectives for the next eight years (2014-2021). Although GCE is well recognized as a key dimension of education for dealing with the challenges and opportunities posed by globalization, consensus about what global citizenship means, and consequently what GCE should promote, is yet to be reached. 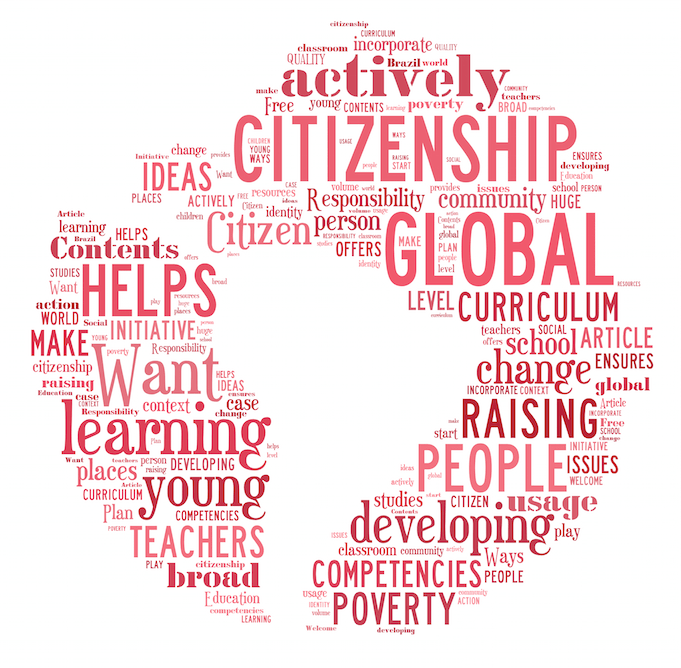 Global citizenship education aims to empower learners to engage and assume active roles both locally and globally to face and resolve global challenges and ultimately to become proactive contributors to a more just, peaceful, tolerant, inclusive, secure and sustainable world. Global citizenship education is transformative, giving learners the opportunity and competencies to realise their rights and obligations to promote a better world and future. It draws upon learning from other transformative education processes including human rights education, education for sustainable development, education for inter-national / intercultural understanding, and education for peace.